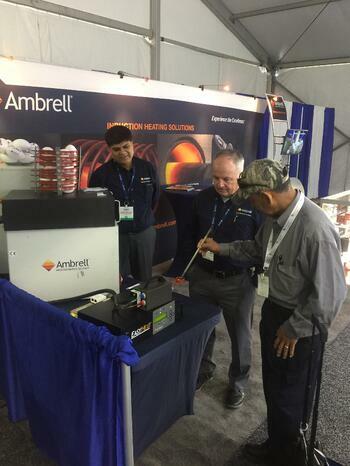 Ambrell will return to the Offshore Technology Conference in Houston, TX. The show will run from April 30th to May 3rd and Ambrell's booth is 8937 in the Reliant Arena. Ambrell manufactures a wide range of high and low frequency induction heating systems, ranging from 1 kW to 500 kW. Systems are manufactured at its new Rochester, NY USA headquarters, while international offices and local resellers are available around the world. The cornerstone of the Ambrell experience is its applications testing in THE LAB. Expert application engineers will test the client’s application and recommend the right system based on their process requirements.